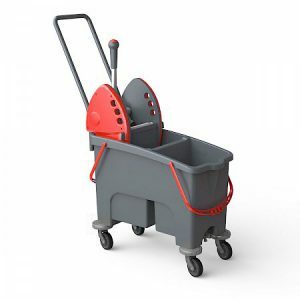 • Nick Star is completely made of shockproof plastic and can be assembled in few minutes thanks to the innovative joint system of its components and to the total absence of screws. 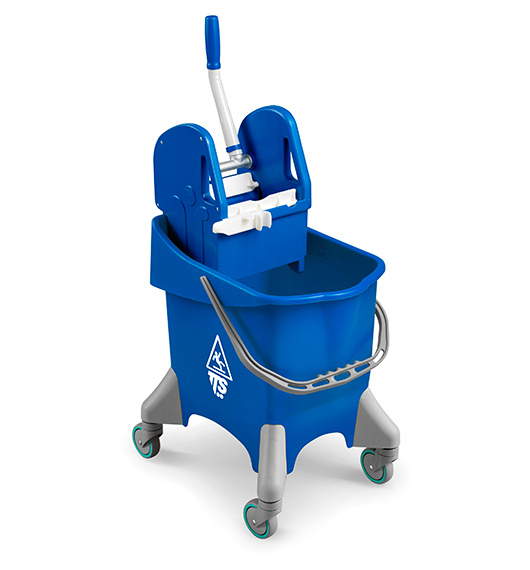 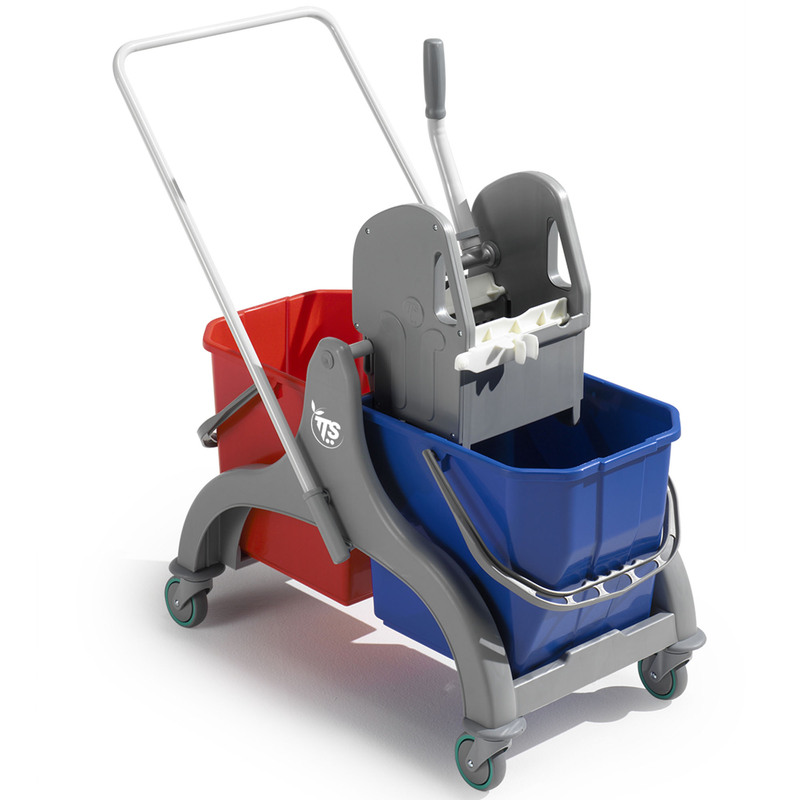 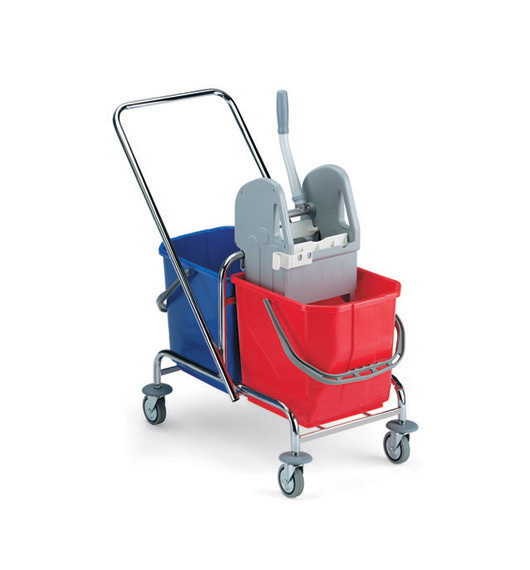 • Nick Star 10 is equipped with a 15-litre bucket, a plastic Tec wringer, a small bin for plastic bags and a 120-litre bag holder. 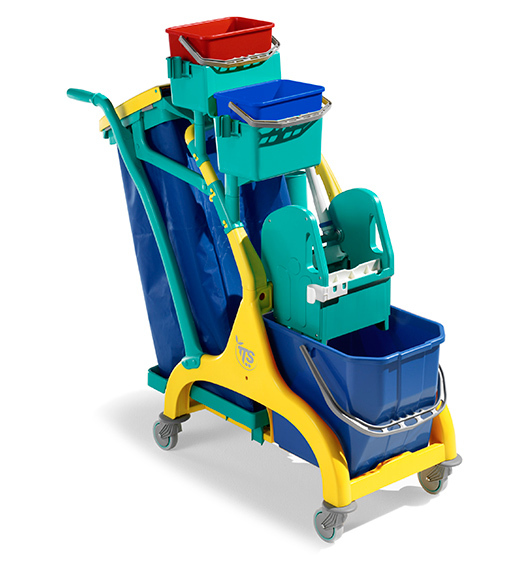 The 120-litre bag holder with bag stretcher and plastic lid can hold big quantities of rubbish, the weight of the bag is carried by a plastic plate fixed on the base of the frame.